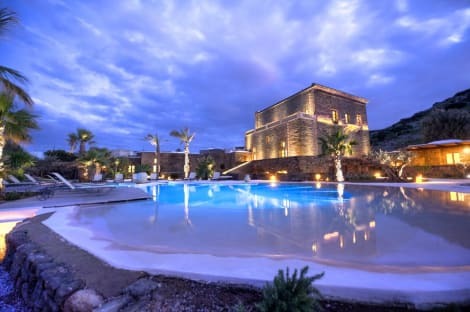 On the rugged coast of Pantelleria, among its many coves, the cliffs and hot water springs, the Hotel Village Suvaki ****: a hotel which was recently built and in which to spend pleasant moments of relax and fun. It is organized as a Club and features 120 comfortable and welcoming rooms, it is the ideal solution for a family or a friend vacation. The reception is developed around an authentic Dammuso of Pantelleria, through which you enter in the magic world of our Hotel Village Suvaki. With a stay at Yacht Marina in Pantelleria, you'll be a 4-minute walk from Castello Barbacane and 11 minutes by foot from Pantelleria Port. 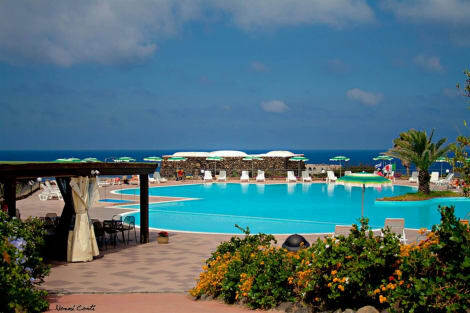 This hotel is 1.3 mi (2.1 km) from Bue Marino Cove and 2.1 mi (3.4 km) from Pantelleria Gardens. When you stay at Resort Acropoli in Pantelleria, you'll be within a 10-minute drive of Castello Barbacane and Pantelleria Gardens. This luxury apartment is 2.2 mi (3.6 km) from Pantelleria Port and 2.4 mi (3.9 km) from Bue Marino Cove. Take advantage of recreational opportunities offered, including an attached winery, an outdoor pool, and bicycles to rent. Additional amenities at this property include complimentary wireless Internet access, concierge services, and gift shops/newsstands. lastminute.com has a fantastic range of hotels in Pantelleria, with everything from cheap hotels to luxurious five star accommodation available. We like to live up to our last minute name so remember you can book any one of our excellent Pantelleria hotels up until midnight and stay the same night.